Morsoft™, our staple brand of napkin, towel and tissue products, has a fresh look and we’ve added a few new products to our lineup. 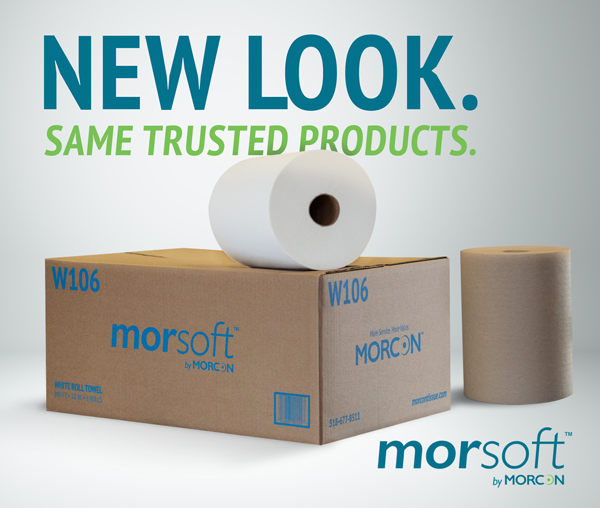 Over the next few months, Morsoft napkin, towel and tissue cartons will feature our new Morsoft logo and a simplified color system to help customers identify products at a quick glance. Cartons with green ink denote 1-ply and Kraft products, while cartons with blue ink denote 2-ply or Premium products. The rollout will kick-off with the Morsoft towel line, followed by our napkin and tissue products. We are very excited about these upcoming changes. hardwound, center pull and C-fold towels; and bath tissue products.